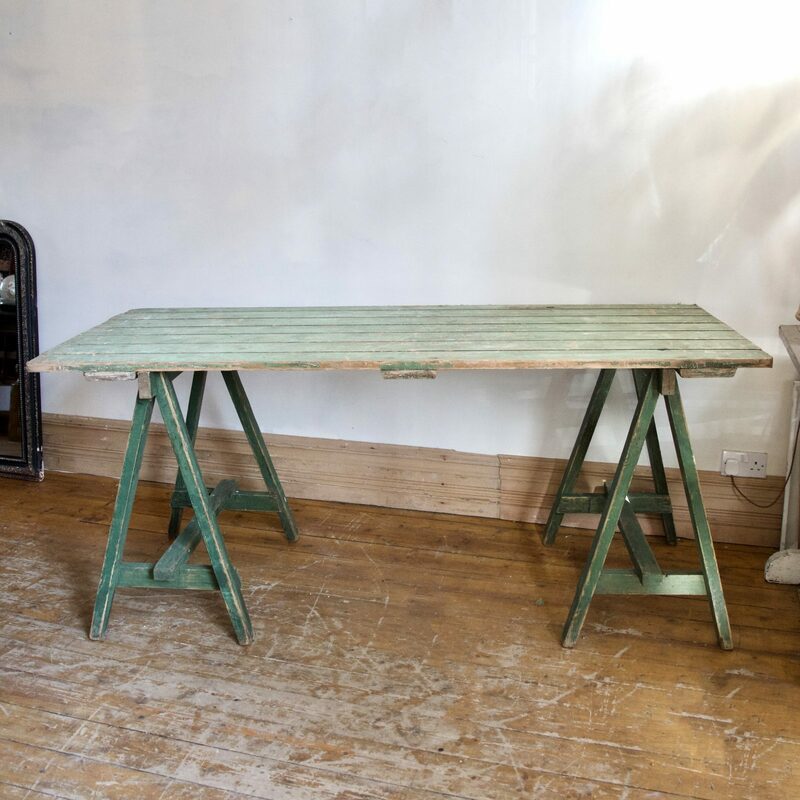 Green vintage trestle table. The top is made from an old door, and the legs are two individual A-frame trestles. Retaining its naturally worn green painted patina this piece would suit a modern or period kitchen diner.